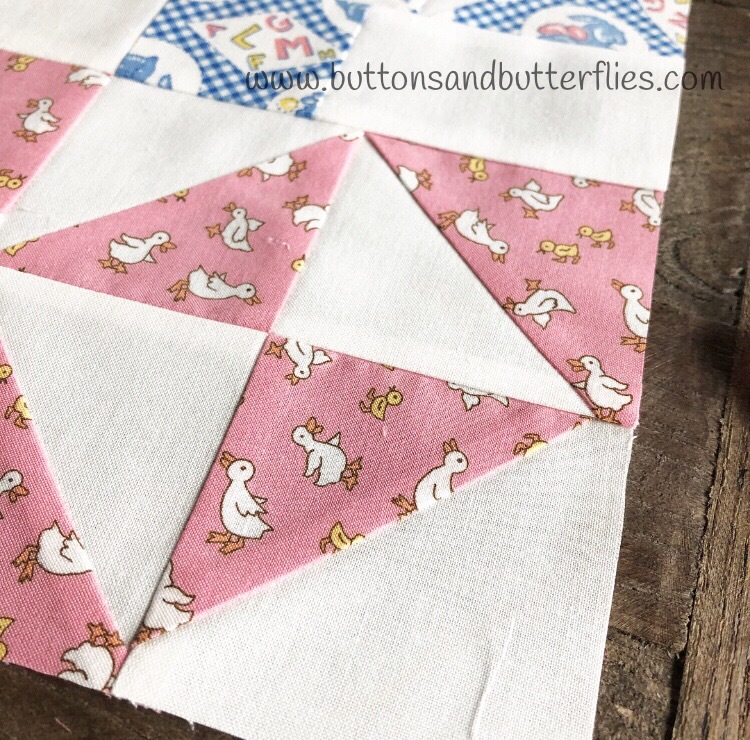 The Perfect 10 Sampler Quilt Along is still rolling along and this week's blocks are the Cookies 'n Cream and Cotton Candy blocks. I think these two blocks are soooo yummy that I can't stand it. The fabrics I chose. The patterns are relatively simple and yet they make complicated finishes. Those are always the best kind of blocks in my opinion. I had to take pictures of them together because I really loved how the two blocks complement each other, despite the fact that they will be in different parts of the sampler finished top. I LOVE this block as a full block. 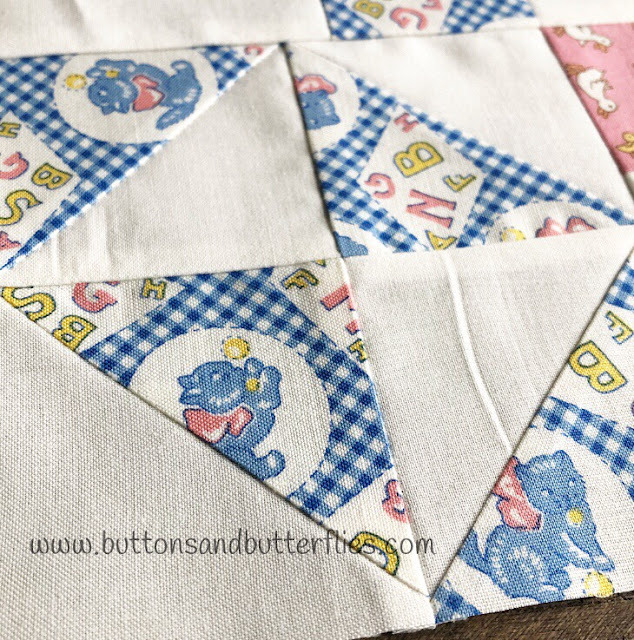 You could not go wrong with a full scrappy quilt. Each block a different color. An entire quilt in two colors. Not in the mood for an entire quilt? Just the block alone as a pillow is fun!! As for the fabrics? When I read the word cream, I instantly thought of coffee or cats. And then the coordinating pink fabric I had just seemed to compliment it so well! Aren't the little ducks adorable too? There isn't a baseball game or fairgrounds visit that goes by that I don't have a yummy bag of cotton candy in my hands. I can probably eat a whole bag faster than my kids. I honestly don't think that I have a favorite flavor, but this print had a "fluffy" feeling to me. Out of all of the full quilts, hubby loves this block the most. I'm still deciding what layer cake from Fat Quarter Shop is my favorite to make him one!